Is Amazon Making a Mistake With Two New Delivery Methods? The company built its reputation on making good on its delivery promises and now it may be putting that at risk. 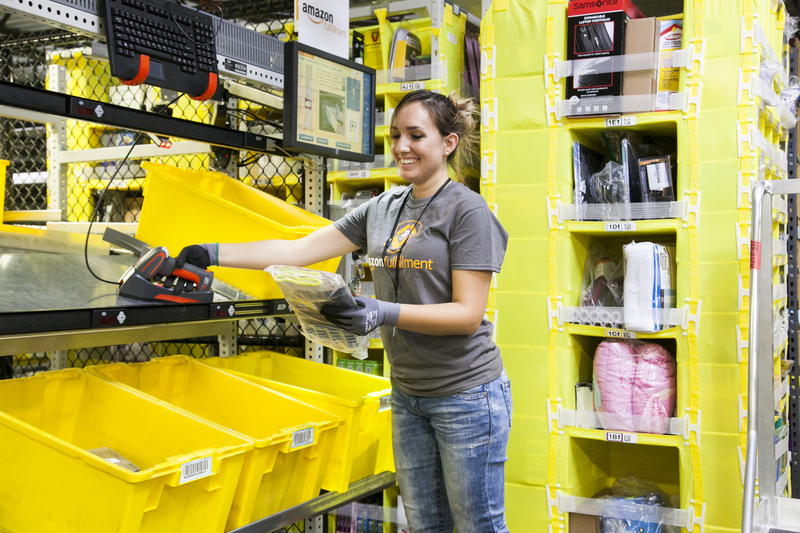 Amazon (NASDAQ:AMZN) has worked painstakingly to build a reliable two-day shipping system. Though it works with partners, including the United States Postal Service, UPS (NYSE:UPS), and FedEx (NYSE:FDX), the company has maintained strong control over its delivery channels. This has allowed the online retailer to build its business with its most loyal customers. Free two-day shipping is the cornerstone of Amazon's $99 Prime membership plan. Though the service now offers free video and music along with some other perks, free two-day delivery remains the reason to sign up for many customers. Part of the draw is that Amazon actually lives up to the promise. Because the company has so carefully managed its shipping relationships, it almost never fails to deliver on its two-day offer. That, however, could change as the company is considering two new methods of delivery which take control out of its hands. One simply puts its reputation on the line while the other could cause problems with the two-day promise. Amazon's first new initiative, which is reportedly in the testing stage, would be to enlist regular people to drop off packages on their way to their destination. Like an Uber car for your order, the company would "enlist brick-and-mortar retailers in urban areas to store the packages, likely renting space from them or paying a per-package fee," reported The Wall Street Journal. The problem with this idea is it takes packages away from trained, professional delivery companies and puts them in the hands of individuals who may not take the job seriously. "There is a certain logic to the idea, but it seems there's a lot that could wrong," Marc Wulfraat, president of Montreal-based logistics consulting firm MWPVL International told the paper. "What's to stop these people from simply taking the packages for themselves instead of leaving it on someone's porch?" The second delivery test Amazon is undertaking has the potential to be an even bigger problem. The company has been slowly rolling out a program where some of its independent marketplace vendors will be allowed to ship directly to Prime members, according to a second Wall Street Journal article. Previously, those merchants had to ship their items to Amazon for processing. Allowing vendors to ship directly does take some cost out of the process since the items won't have to be sent to Amazon. But by taking itself out of the loop but still using the Prime banner on the sale, the online retail giant leaves itself exposed to any shipping problems its partner may have. That could create a customer service nightmare where Amazon would be held responsible for shipping problems out of its control. Ultimately, giving up that direct control, could cost the company Prime members. That would be the worst thing that could happen since according to research from Consumer Intelligence Research Partners the company's about 41 million Prime members spend "on average about $1,100 per year, compared to about $700 per year for non-members." Even Amazon's current system is not infallible as in 2013 the company and its shipping partner UPS were forced to issue refunds when unexpectedly high volume led to late deliveries during the Christmas season. The number of shipments was so much larger than expected that a UPS spokeswoman told The Washington Post "the volume of air packages in our system exceeded the capacity in our network." That breakdown was largely a one-time thing and Amazon got through the 2014 holiday season with minimal shipping issues. One of the key reasons to shop with Amazon is that you know your product will arrive when it was promised. By putting its orders in the hands of third parties other than its experienced delivery partners, the company may be making a mistake. Using regular people to make deliveries sounds like a good idea in theory, but it leaves the company open to too many problems. Outright theft is probably only a small issue, but what happens when a person making a delivery damages it? What happens if the driver is delayed or diverted and the package arrives late? Allowing vendors to ship directly presents an even more frightening scenario. Amazon would, of course, vet any merchants it allows in the program, but is any amount of checking worth the risk? Currently the company controls its own shipping process and can ensure that it either meets the two-day window or communicates with its customer as to what the delays may be. A third party will almost certainly have more problems than Amazon and may not be as good as handling them. This is an area where the retail giant must tread very carefully so it does not risk angering its best customers.